Pinterest on Wednesday introduced video ads as it moved to cash in on a growing appetite for videos at the popular online bulletin board. Marketing messages in the form of Promoted Videos paired with posts "pinned" at the social network will be served up in the United States and Britain, according to product manager Mike Bidgoli. Pinterest has seen a 60 percent increase in videos ranging a gamut of topics from exercise and home improvement to beauty tutorials, Bidgoli said. Pinterest is following in the footsteps of internet giants such as YouTube and Facebook, which early on tuned into rising interest in online video by tailoring ads to the format. "While other platforms primarily offer video views, we've coupled Promoted Video with featured Pins below the video," Bidgoli said in a blog post. 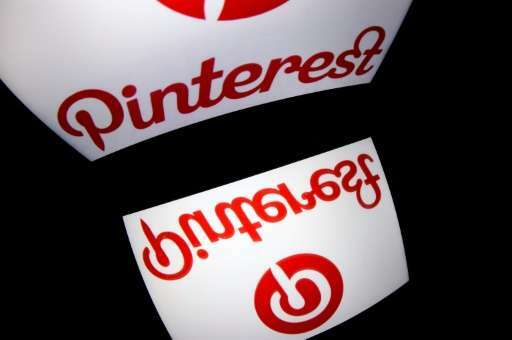 More than 100 million people around the world visit Pinterest monthly, according to the San Francisco-based company. Pinterest in June unveiled new features to facilitate shopping on the site, as the platform pushes to become an e-commerce hub. The offerings included a virtual shopping bag that users can fill as they cruise bulletin boards.